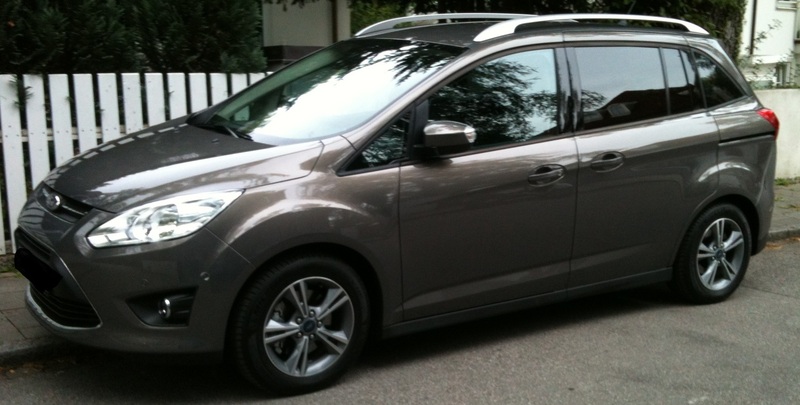 Wir haben uns für einen Ford Grand C-Max entschieden. Warum so ein großes Auto in einer Stadt, werden sich einige fragen. Nun, der Herzmann ist Berufssportler und insofern haben wir immer was zum transportieren – ein Fahrrad zum Beispiel. Und wer will schon immer eine halbe Stunde oder länger das Auto um- und das Radel auseinanderbauen, wenn man mal irgendwohin fahren will ? Wir jedenfalls nicht. Und darüberhinaus transportieren wir ja auch noch eine ganze Weile einen Kinderwagen / Buggy. Es müssen also 2 Erwachsene, ein Zwerg und die Ausrüstung für die Insassen rein passen. 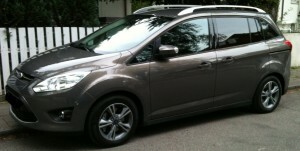 Und das ist bei dem Grand C-Max der Fall. Da geht ohne größere Anstrengung alles easy in den Kofferraum. Wir konnten ja immer ein Auto von den Schwiegereltern nutzen und Car-Sharing haben wir auch gemacht – aber alles in allem bin ich heilfroh, dass ich jetzt nicht mehr planen muss, wenn ich irgendwo hin will und auch nicht mehr erst 6, bzw. 10 km durch die halbe Stadt tigern muss, ehe ich an das Auto dran komme. Finally our new car arrived on Saturday ! :jump: We decided on a Ford Grand C-Max. Some might ask why we decided on such a big car while we are living in a town, where parking lots are rare (especially big ones). Well, that’s been told very quickly: the hubby is doing sports both for a living and a hobby. So we got to carry tons of stuff around, bicycles for example. And, honestly, would you like to start re-arranging the whole car or adjusting the bicycle every time you want to go somewhere ? We don’t. And as we also will have to carry a stroller for quite a while, the requirements were clear: 2 adults, 1 munchkin as well as the equipment for them all need to fit in easily. Which is absolutely no problem with the model we decided on. And even if we were in the position to be able using a car of the parents-in-law or of the car-sharing service of our hometown: I’m very happy to not need to ask every time I want to go somewhere. No more need to travel through the whole town for picking up a car at their place and stuff.